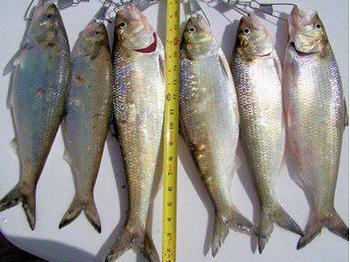 WASHINGTON, DC, September 20, 2010 (ENS) – Commercial and recreational fishermen are taking two government agencies to court for failing to protect river herring and shad from being caught and killed by Atlantic industrial fisheries. The lawsuit filed today in federal court in Washington, DC pits the Martha’s Vineyard/Duke’s County Commercial Fishermen’s Association and angler Michael S. Flaherty against the Atlantic States Marine Fisheries Commission and the National Marine Fisheries Service. 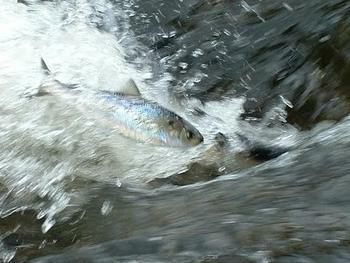 Under the Magnuson-Stevens Act and the Atlantic Coast Fisheries Cooperative Management Act, both agencies are required to conserve and manage river herring and shad populations to prevent overfishing, rebuild depleted stocks, establish annual catch limits and accountability measures and minimize bycatch – leftover fish usually killed and discarded. The lawsuit claims the two agencies have failed in these duties. “Our communities depend on a healthy and abundant fish supply for their prosperity,” said Warren Doty, executive director of the Martha’s Vineyard/Dukes County Fishermen’s Association. River herring and shad are separate species of herring that are born in fresh water, migrate to the ocean, and then return to the river where they were born. They are a critical component of the coastal ecosystem along the Eastern seaboard, providing a food source for fish, birds and mammals. The plaintiffs claim that shad and herring populations have been wiped out by the unregulated catch by industrial midwater trawl fishermen. These industrial trawlers are up to 165 feet long and can hold more than one million pounds of fish. Though these ships are targeting sea herring and mackerel, they incidentally scoop up millions of river herring and shad as bycatch, which are either discarded dead or sold along with these other fish as lobster bait. The Atlantic States Marine Fisheries Commission is made up of state fisheries managers from the entire Eastern seaboard whose authority for managing coastal fish species is primarily exercised in state waters. National Marine Fisheries Service, also known as NOAA Fisheries, is the federal agency charged with managing ocean fish in federal waters, which stretch from the boundary of state and federal waters three miles off the coast to the boundary of the U.S. Exclusive Economic Zone 200 miles out to sea. River herring spawn in state waters but generally spend the majority of their lives in federal waters. The plaintiffs claim that neither agency has done enough to manage the take of river herring in federal waters or to prevent the population collapse of river herring and shad.